Thanks for fast delivery. I hope that creams will be ok and useful for me. Быстро доставили, товаром и упаковкой довольна. fast shipping, as always! products in excellent quality. 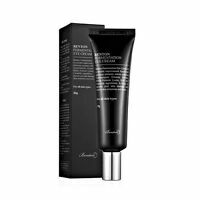 Excellent snail mucin cream, very recommended. This is the second jar of COSRX snail 92 all in one cream that we are buying - both my significant other and I use it morning and night. 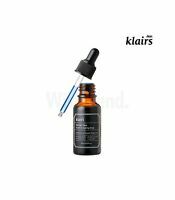 It is frankly amazing - it has entirely healed his combination congested skin (no more flaking, redness, blackheads, and only one actual acne spot in over a month since we begun using it), and at the same time helped immensely with my dry and sensitive skin which was feeling parched and sore after the winter. We are both in our early 40s, and it made both our faces look noticeably younger by removing a lot of the fine lines we had begun to develop - just after about a month of use. For his skin the cream alone after cleansing is enough (or with sunblock during the day), while for dry skin I typically use a heavier occlusive on top at night, or sunblock and occlusive during the day as necessary, so fit it into your routine as appropriate. (We are both lighter-skinned Europeans so we burn easily and use sunblock March-October here in Norway.) 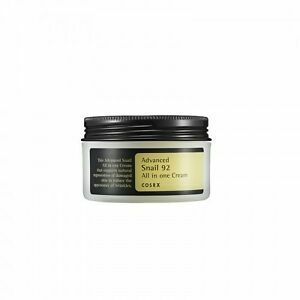 The cream has a typical slimy snail mucin texture, and no particularly strong scent. It's translucently white, and slippery so it's best to use a cosmetic spatula to get it out of the jar, as the jar is 100g, and lasts a while - contaminating it would be unfortunate. Jar comes packed in a beautiful box and includes an inner lid so that product doesn't leak and stays hygienic throughout use (provided you don't stick fingers in it). The cream is pretty nice for its price. It moisturises my oily and sensitive skin and makes it fresh. But the package is terrible. Due to the high percentage of snail extract it is very liquid and slimy. Im suffering every time i am trying to take it out of the package not to say that its not very hygienic. I had to transfer it to the bottle with the pump and of course ive lost a lot of product. I would recommend to the producer to change the packaging for tube like they did with their masks. My skin feels great and throughly hydrates. Though it takes some time to get a hold of the texture if the cream. But definitely a go to summer moisturizer! Love it ,my skin is so much better after I started using this cream . Is a bit slimy and weird texture but it’s worth trying. I used to have so many spots before but now it’s all gone .